Several years ago, I was flying a drone – a DJI Inspire 2 – when the battery failed while the drone was around 300 feet and over water. A death spiral ensued and with a meek splash, as I watched in disbelief, the little flying contraption hit the water and sank quietly to the bottom of the Colorado River near Pennybacker Bridge. After experiencing the worst customer service imaginable (DJI wouldn’t honor any warranty that was caused by a battery failure despite the data showing it was not user error, just an orginal faulty battery that came with the drone), I gave up on drones for several years. Last January changed things. I decided to once again add aerial photography to my portfolio, so I spent a few weeks studying for the FAA Part 107 exam, a test that allows one to fly a drone and sell the work commercially. On a cold day in San Marcos, I sat at a computer for less than 30 minutes, scored a 95 on the test, and was on my way. I thought the test was shockingly easy, but I had also spent time preparing, so maybe the studying paid off. I waited another ten months until I finally purchased a drone. I bit the bullet and bought another DJI unit – this time a Mavic Pro 2 – and what sold me was the Hasselblad camera that was part of the drone. For my business, I need to be able to print fairly large prints. While not huge, I’ve been able to produce detailed prints at 54” wide, and the panoramas stitched from several images have been printed up to 9 feet wide. While flying, I take no risks, and I take a ton of shots. I’ve found that some photos will come back with just a bit of blur – nothing that would be noticeable in smaller prints, but for enlargements, I need sharp, crisp originals. After several test flights and practicing with the camera settings and gimbal, I was able to take a few trips to put the new drone in use. A few shots from San Antonio under windy conditions produced this panorama showing the well-known Tower of the Americas and Alamodome. From southwest San Antonio, this view of the skyline shows the Tower of the Americas prominently. to the east (right) is the Alamodome. to the left (west, is the main skyline. In the distance, even the new Frost Tower, similar to the Frost Tower in Austin, is peeking out from behind the Tower of Life building. A lazy Saturday afternoon finds blue skies over the Houston skyline on a cool day in November. Below, Buffalo Bayou finds folks outdoors biking, jogging, or just taking a stoll along the paths lining the water between Allen Pkwy and Memorial Parkway. This image was taken with a drone. I am a Licensed FAA Part 107 pilot. From high over Buffalo Bayou on a beautiful November morning, the sun breaks through the clouds and shines the first light of day through the highrises of the Houston skyline. Far below, Buffalo Bayou flows along, flanked by Memorial Parkway and Allen Parkway. The tallest building in the skyline is the JP Morgan Chase Tower at 1,002 feet high. This aerial sunrise image was taken with a drone and a licensed FAA Part 107 pilot (me). 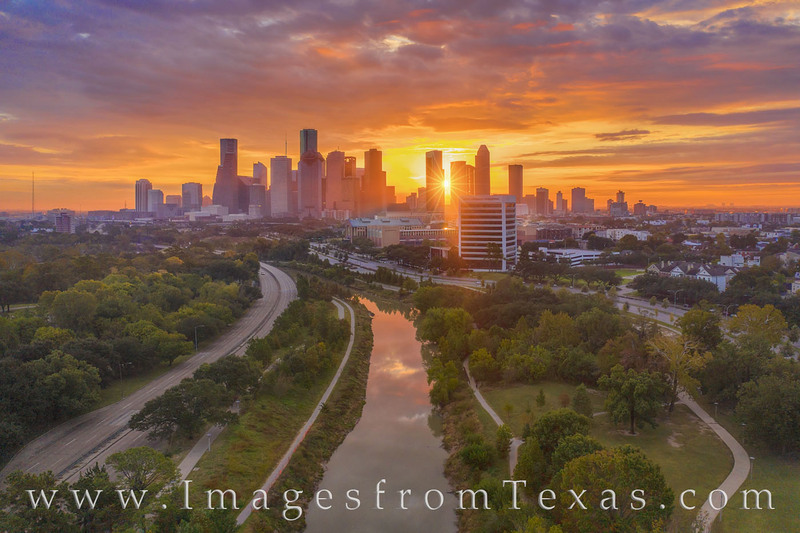 You can see more photographs, both from the ground and from the drone, in my Houston skyline images gallery. The first sunlight peeks over the horizon and downtown Austin, Texas. This aerial panorama was taken with a drone and looks down on Ladybird Lake and across to the highrises of the capitol city. Taken in late November, the Autumn colors along the water are just showing up in the morning light. On a beautiful November evening, this aerial photograph of downtown Austin and the skyline shows shows the fall colors found along Ladybird Lake. The “Jenga Tower” (formally known as the Independent) tops out at 685’ and is the tallest highrise in Austin, narrowly eclipsing the Austonian (683’). Overall, I’m liking the Mavic Pro 2. I’m not into the technical aspects, so you can get that information elsewhere, but I will say this little flying machine is fun to fly, easy and intuitive, and with a little post processing, can produce nice images that folks seem to like. And for me, that is the bottom line. 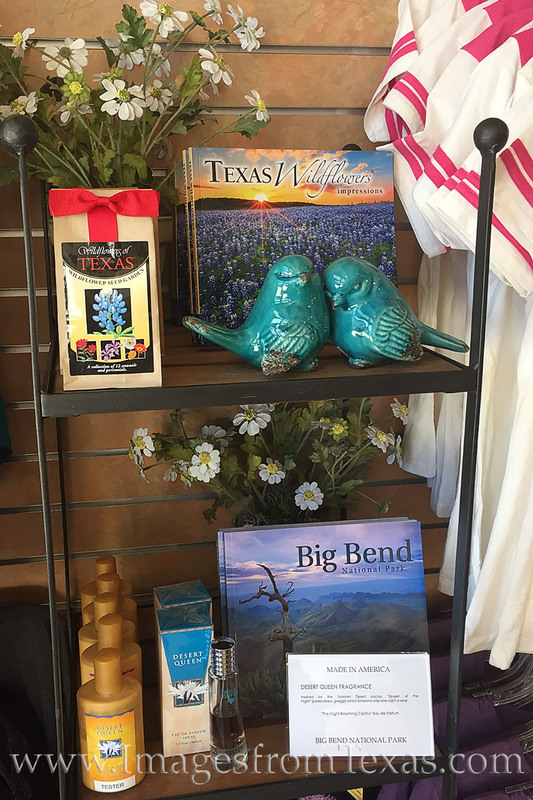 I look forward to adding to my gallery featuring aerial photographs from across Texas. Thanks for listening. If you have any questions, please don’t hesitate to shoot me an email. Posted in Aerial Drone Photography and tagged aerial, austin, buffalo bayou, dji, drone, houston, mavic pro 2, san antonio, skyline, town lake on December 15, 2018 by Rob Greebon.